For free along with this purchase! Pradeep’s Biology for class 12th is one of the best and the most comprehensive books to be written on the subject. 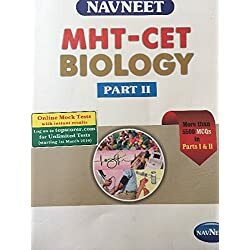 With its exhaustive information and questions stock, you’ll not need any other book for biology preparation for your boards or entrance exams. The condition is almost new, with just few pages marked lightly.